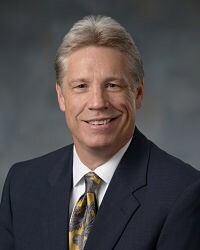 Brian is the founder of McKee Financial Resources Inc., and is an Investment Advisor Representative with Cambridge Investment Research Advisors, Inc., 1776 Pleasant Plain Road, Fairfield, Iowa 52556. As a Registered Financial Consultant (RFC®), and Certified Kingdom Advisor (CKA®) with over 34 years of financial services experience, Brian focuses on Financial and Estate Planning while specializing in Wealth Management. Extensive experience in both the investment and insurance industries has equipped Brian to bring true value to his clients in the planning process. Whether working with individuals or business owners, Brian provides assurance while navigating through the challenges and often complicated details of an ever-changing economy. "Trust • Integrity • Service" are the hallmarks which McKee Financial has embraced to build long-term relationships and assets under management for nearly three decades. Building partnerships is what keeps Brian excited about the future decades in serving his clients. Brian is happily married to Connie, and they reside in Newburgh, Indiana. Brian has two adult children, Spencer and Kendall. When not working, Brian enjoys time with family, traveling, golf and is active at Christian Fellowship Church.